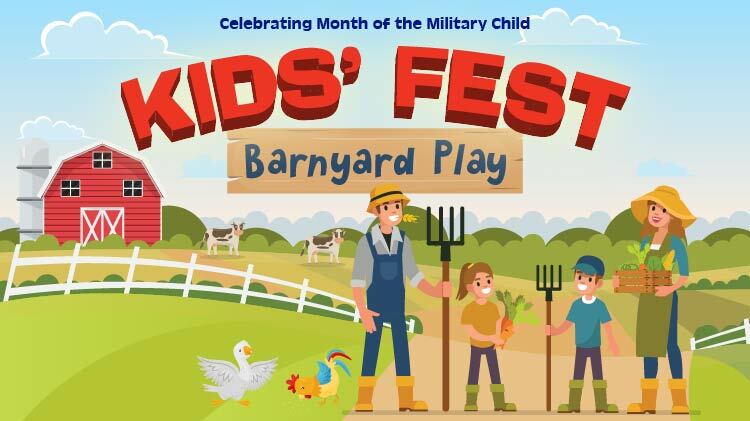 Date: Apr 4 2019, 1 p.m. - 4:30 p.m.
JBLM’s free Kids’ Fest, “Barnyard Play,” kicks off the Month of the Military Child Thursday, April 4, 1–4:30 p.m. at the MWR Fest Tent and Bowl Arena Lanes at Lewis Main. Enjoy hands-on activities, exhibits, displays, crafts, interactive games, farm animals, rock wall climbing, free bowling, static displays and entertainment. Free books and environmental activities from DPW. Plus info on bee-keeping and more. Plus, so many more hands-on activities, games and crafts from American Red Cross, Kite Flyers Association and many other agencies!